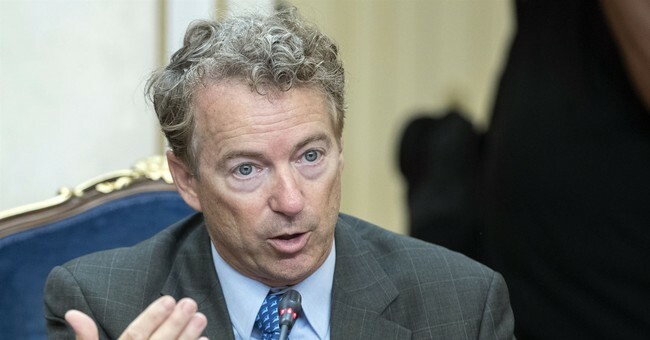 Republican Senator Rand Paul has reintroduced legislation to end government shutdowns...forever. The Government Shutdown Prevention Act doesn't allow the government to shut down. Instead, it automatically cuts spending should lawmakers fail to come to an agreement over government funding. “No matter where one stands on the debate over government spending, we should all be able to agree that Congress needs to handle Americans’ money thoughtfully and hit its deadlines. The Government Shutdown Prevention Act would take a major step forward toward bringing basic fiscal responsibility to Capitol Hill,” Paul released in a statement. Instead of government shutting down operations over stalled funding in the future, Dr. Paul’s plan would keep government open but institute a one-percent cut to then-current funding levels for any agency, program, and activity that Congress failed to fund by the start of the fiscal year (October 1). Funding would be reduced by another one percent every 90 days thereafter that an agreement is still not enacted. Along with ensuring government honors its obligations and maintains its operations, Dr. Paul’s proposal would give agencies the certainty of knowing that, in a worst-case scenario, they will always be able to operate with a full year of funding at no less than 96 percent of their then-current levels. Republcian Senators Mike Lee and Joni Ernst also helped reintroduce the bill. In the meantime, the current partial government shutdown is on day 27 with no end in site.